I always say I will and need to blog more, but here we are again with big gaps between blogs. Largely because I like to post blogs with video content now and that takes much more time to edit and publish than a blog with a few photos. 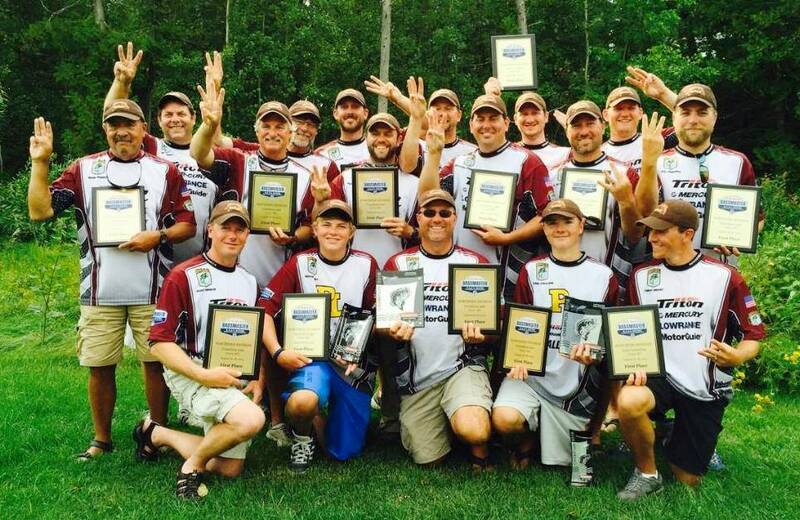 So the following is two tournament recaps from July. That being said, I recorded a little video from MN TBF TOC on Lake Pokegama, but my finish was very mediocre and so were the fish catches on video, maybe I will clip it together and post it here in the future. I didn’t even take any photos from that event. I love Pokegama and have done well there in the past. In the end, I fished for both smallmouth and largies, but probably needed to dedicate more to one, ultimately I didn’t catch either one well enough. 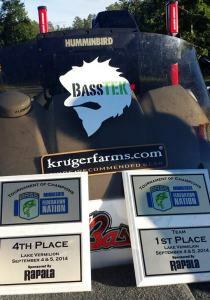 Kudos to Sport and Chong on the wins & my dad for big fish of the event. 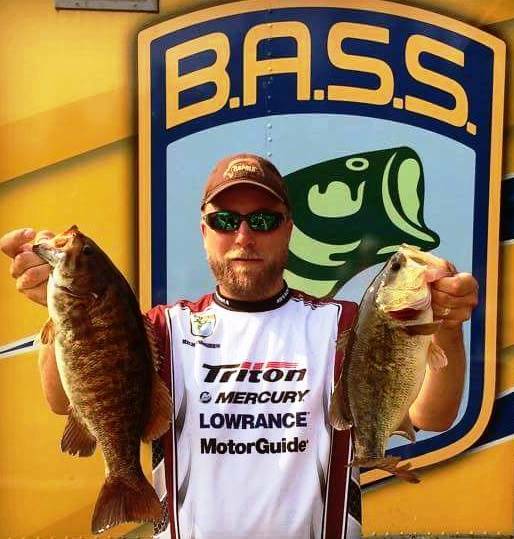 Final results from that event – click here. 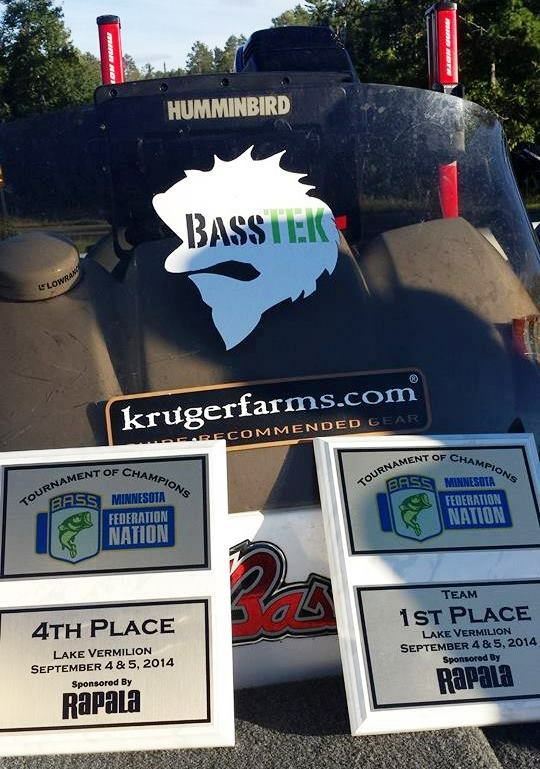 Two weeks after that event, was the Minnesota BASS Nation TOC on Mille Lacs. Practice was stingy but I felt like I still had a few things figured out to go on, but many of the areas that were good last August, weren’t the same this year. 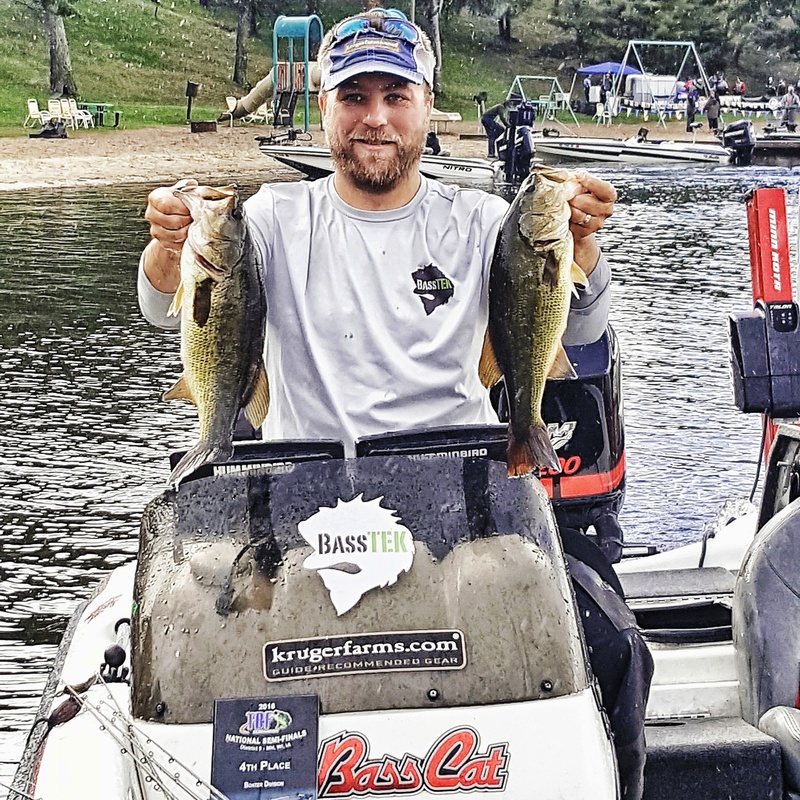 Could just be year to year or fish adjusting to the growing fish pressure of being the #1 Bass Lake in the US by Bassmaster Magazine. Day 1 ended up being postponed due to the wind, but new day 1 on Friday still ended up being pretty darn windy. I was greeted with a nice surprise of none of my electronics being able to power up as we lined up for taking off, even though they worked fine all practice. Before I had time to dig into the issue, my boat early boat number was about to be called. So I set off to my first area with no GPS mapping or sonar depth. I got close to the area and I was able to switch some cords to get waypoints and maps on my console graph. 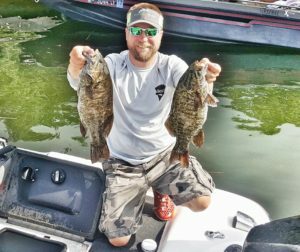 I tried fishing inefficiently for awhile walking to back graph, moving trolling motor and spot locking on and off with my Ultrex. I finally gave up on that and went into back compartment, ultimately I rewired around what I believe had to be a bad fuse harness and got everything back up and running front and back. After way too much time spent, I had 1 or 2 small fish and broke off on a good bite in the first area. Trying to go to my next area, all the sudden I could not get on plane with the big motor. So mentally I decided I would fast idle and fish the area I was in and then work my way back to take off. 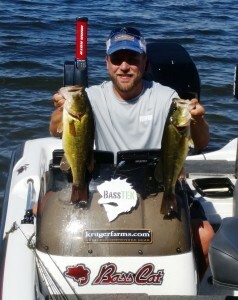 That worked for a bit, caught a few more fish, lost a 4lbr next to the boat and caught a 4lbr on a stupid tube. After fishing my less than prime areas more, I finally decided to pop the cowling off the main motor and have a look to make sure it wasn’t something silly, and it was just a spark plug wire that popped off. 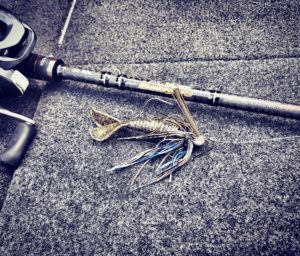 After getting that fixed, I made the run from Agate Bay area up to the east of Myramar to fish calmer waters that I had success in practice. My next stop produced a decent quality bite and a small upgrade. With time running out, I ran a handful of area working down the west side of the lake, finally I hit some isolated boulders about mid lake on the west side and got a big upgrade drop shotting a boulder that I almost gave up on and the fish probably bit on the 9th or 10th time I dropped. I knew the bag still wasn’t where I wanted or needed to be but felt like maybe I had avoided a complete disaster. Then the treacherous run back across the middle of the lake and by the way, I should have left much earlier than I did, it was way too rough to push as hard as I ended up pushing it. We made it back without too much damage other than a bent trolling motor stabilizer. 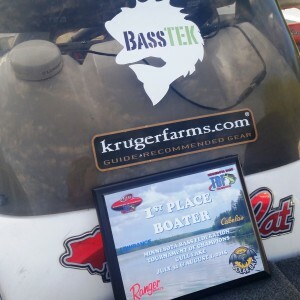 I ended up with 17lbs and was probably in about 30th place out of a 100 or so boaters. Day 2 I knew I need to get over 20lbs to have a shot. I started in a somewhat shallow area between take-off and Doe Island that was way too windy on Day 1, it yielded a limit in the first 90 minutes along with two 5lb class fish. A much better start and 20lbs felt pretty attainable at that point. 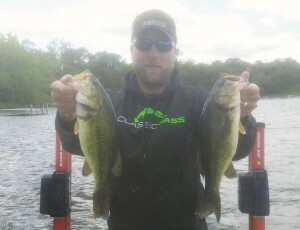 I bounced around fishing areas on the east side of the lake picking off quality fish on the stupid tube and drop shot. 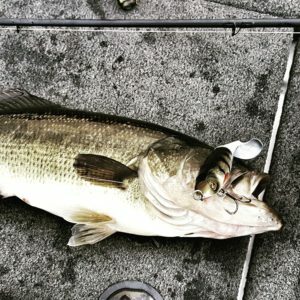 I won’t go into fish by fish details, if you want that info, check this video because I had my GoPro going all of day 2. 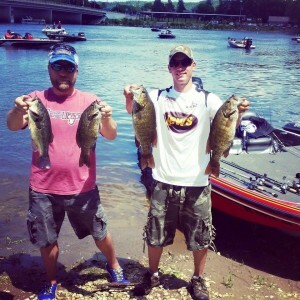 I ended up with 22lbs even, which is my best 5 smallmouth ever weighed in a tournament. That felt pretty good until the results came out that I missed the Top 10 cut by .7lbs. That is fishing, on one hand, I felt pretty good not letting the adversity of day completely snow ball on me and hanging in there to give myself a shot to fish on day 2. But in the end, my goal was not achieved, so that kind of sucked. Pretty much all the fish I weighed came on two baits and two setups. I had 4″ Green Pumpkin Stupid Tubes rigged on 3/16oz BassTEK Agitator Heads fished on 12lb fluoro on a DX743C Dobyns Extreme Casting rod. 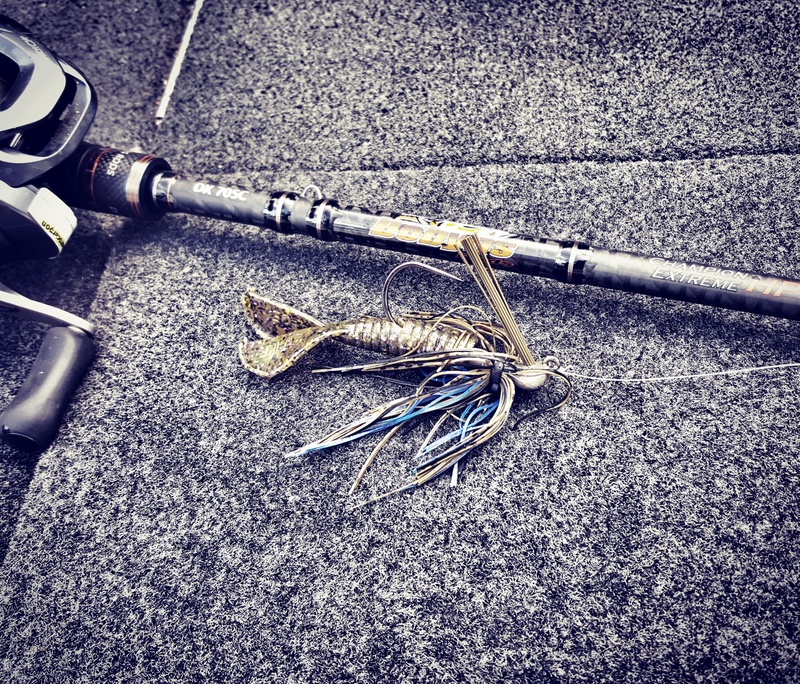 The other setup which caught most of my biggest fish each day was 2.75″ Baby Tube fished on a drop shot with #2 VMC Neko Hook, 8lb fluoro leader tied to 8lb main line braid spooled on a spinning real connected to my DX742SF Dobyns Extreme spinning rod. 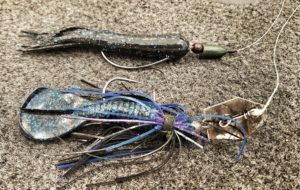 I used a pretty short 12-14″ drop leader to a 3/8oz BassTEK Tungsten dropshot weight. 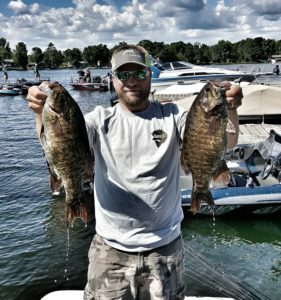 That 7’4″ rod does an unreal job of controlling the big smallies on light line and keeping them pegged with those small hooks. More details and images at the end of my recap video. 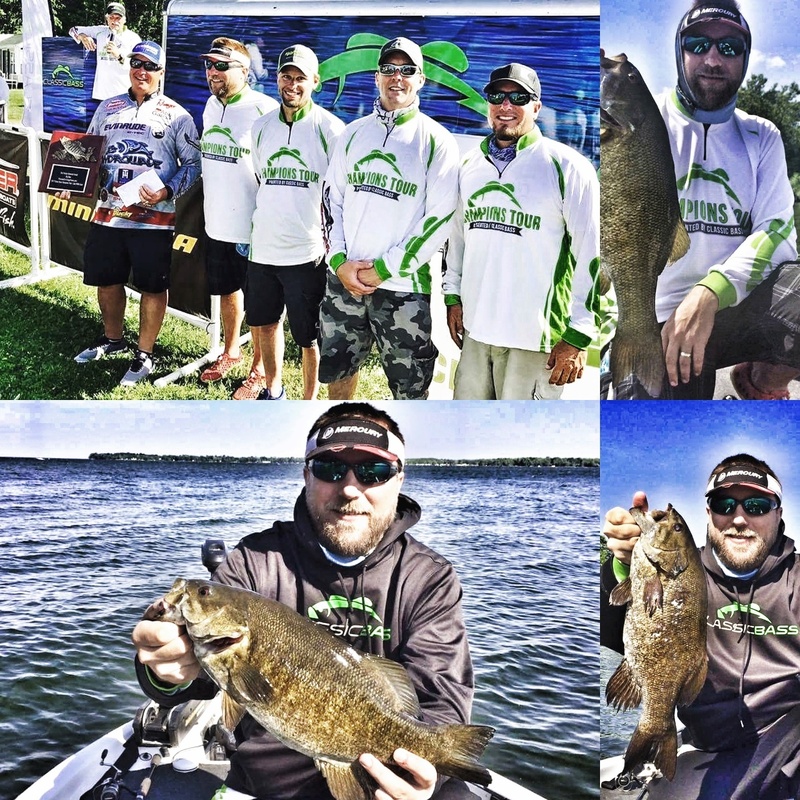 My next big event is on Lake Pokegama on September 1st, where I will be fishing for a brand new Skeeter Boat in the Classic Bass Champions Tour TOC! Wish me luck! Been a long winter, but I am getting the itch big time this spring. 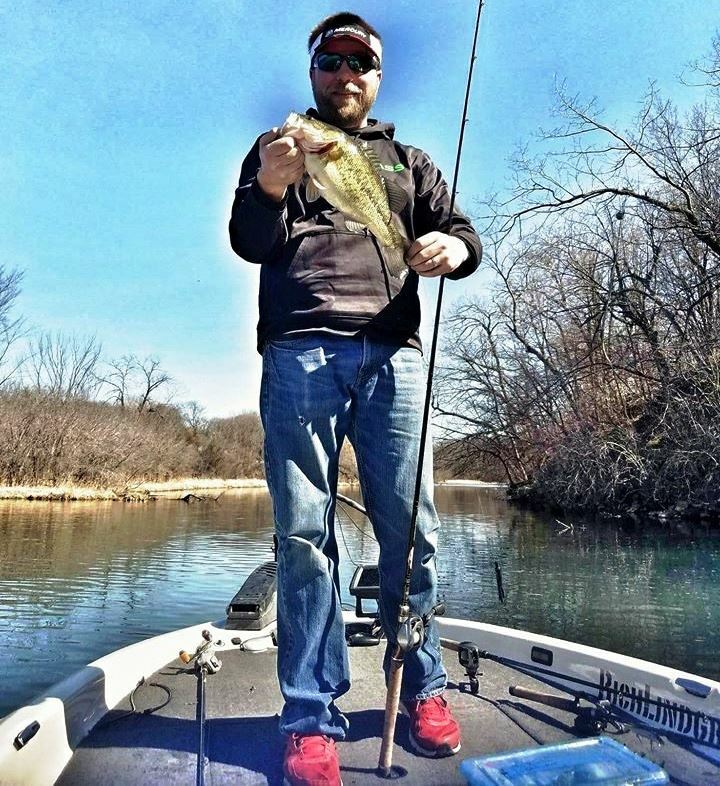 Compared to last year, I am way ahead of the game, I actually got the boat out fishing on the Mississippi River on April 1st, it ran great and we caught some bass, all in all a good start. Pictured is one of the best fish of they day. Also, I finally got the bug to do some video editing of previously recorded GoPro footage I had some some drives. Trying out some new video editing software I just added to my new laptop. Below is a pretty fun couple of hours of early fall bass fishing with Jason Holmer of Bass Utopia boiled down to 10 mins of highlights. 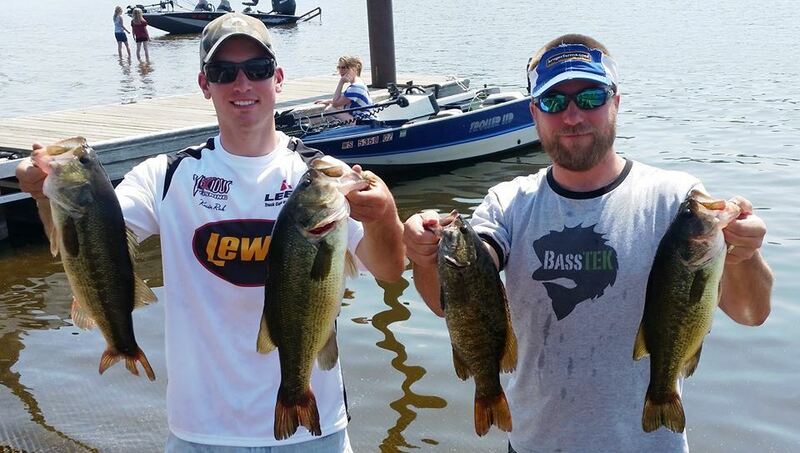 We only weighed the 3 biggest fish, but the best 5 easily topped 25lbs. All our fish were caught on flipping jigs and vibrating jigs, my jig of choice was a BassTEK 3/8oz Okeechobee Craw with various trailers. I also caught several fish later in the day on a Black Blue chatterbait style vibrating bladed jig. 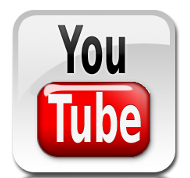 My goal is to produce a lot more video content this year, leave a comment on this blog or on video, let me know what you want to see. Maybe even subscribe so you don’t miss any new videos! 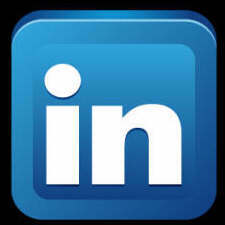 I know in my last post, I said I was going to blog more, not that great, but here I am. Work, Business, Family and other stuff has kept me off the water more then I would have chosen. I have only fished 3 small tournaments thus far, but good news, cashed checks in all of them. Winning would have been better, but anytime you are cashing and losing less money then most, so that is a good thing! Two of the tournaments I fished down in La Crosse with my buddy Kevin, we fished some Bass World Sports team tournaments, got big bass in both and got 3rd and 4th places. They may tournament all are fish fell pray to Bladed Swim Jigs and Tubes, no real surprise for the river. 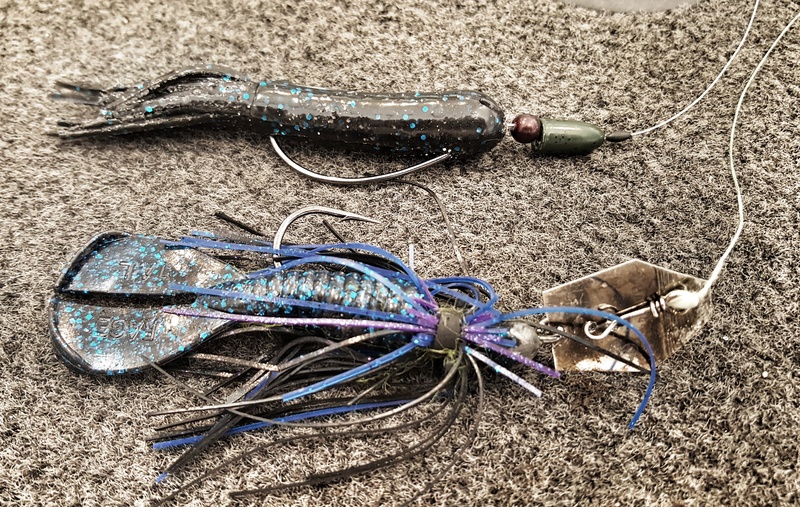 The early June tournament, we got most of our fish flipping 3/8oz Black and Blue BassTEK Tungsten jigs on various types of cover for a nice mixed bag of fish. 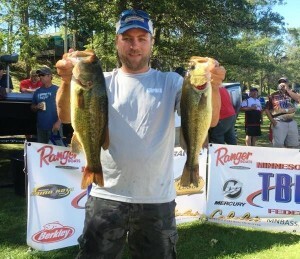 The other event was a Bass Pursuit event on O’Dowd on June7th, it was a tough bite, but we scratched out a few 2-3lbrs on Dropshot and 3/8oz BassTEK Jigs in Magic Craw on deeper weed edges bordering hard bottom areas. The weights were so low, we didn’t even both to snap a picture of the fish. 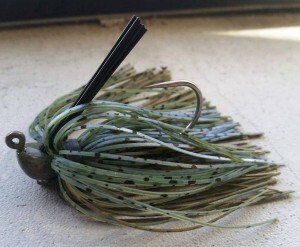 Quick Pic of some Magic Craw Goodness! Next up this week is the annual Pan-O-Prog event on Lake Marion which is close to home. 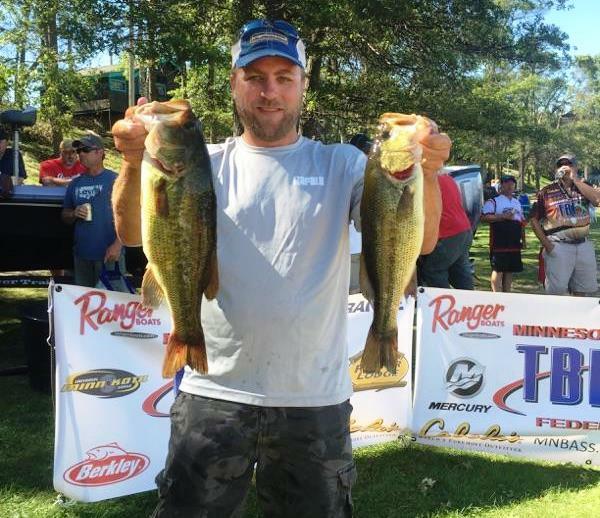 It always seems to be a grind, but it’s nice to fish a few events close to home. To close, here is a recent video on a local pond to my house. 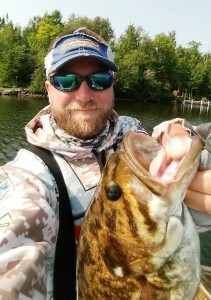 I don’t always have a ton of time to get out in the boat, but I sneak a little fishing in when I can, not bad eh? If you can see the video, click here! I was definitely extra excited about this TOC, not sure if it was I am fresh of making it to Nationals a few weeks ago or the fact that Vermillion is such a great fishery and the found memories I have from my 2008 visit for a Bassmaster Weekend Series, where I took 6th. 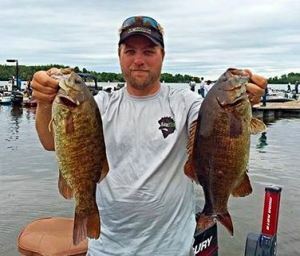 On Saturday morning I started fishing shallow and the very first bite I got was a 4lb smallie on a Big Bite Baits tube, and down that stretch I pulled on several more fish and caught another solid 2.5lb smallie, not a bad start. From there it was a bit of a chore, bites were further and farther between the rest of the day, sticking to mostly shallow and dabbling a bit off shore. 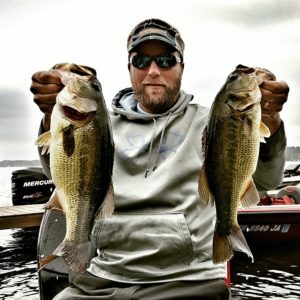 On Sunday, I stayed with the plan to stick shallow and keep covering water looking for more productive water that fit my strengths and preference. 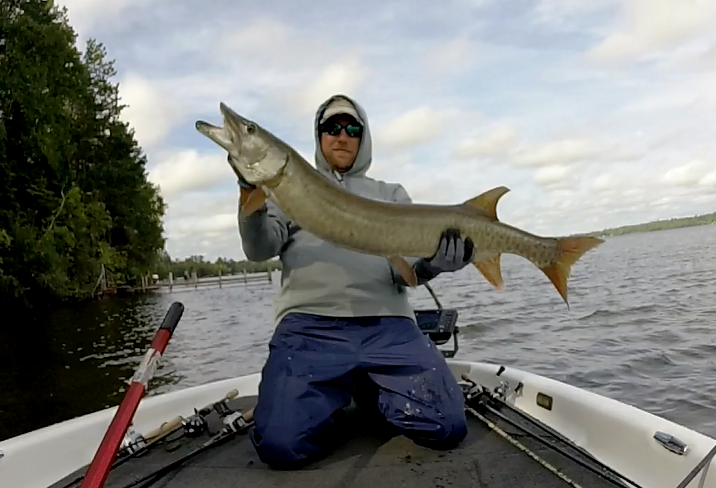 I got a few 3lb class fish, but mostly 2lbs and under, the highlight of the day was catching 2 muskies in 12 minutes. Monday, I decided to check more of the West End of the lake looking at Largemouth water and I honestly had a pretty good day, good numbers decent quality with a few of the right fish mixed in. 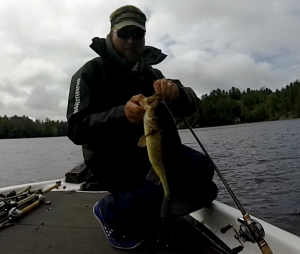 Nearly all these fish that I caught or pulled on were choking a 3/8oz BassTEK Tungsten Jig in Okee Craw. I felt this was a pretty decent option if I couldn’t get on a more consistent smallmouth bite on Tuesday. On Tuesday, I practiced with club mate Corey Brant, we stayed on the Tower end of the lake and chased smallies with a larger emphasis on off shore structure. We definitely both added spots to our game plan and had pretty productive day. 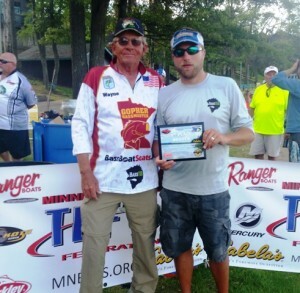 I drew out with friend and former Gopher Bass club mate John Fairbanks, we were in 2nd flight. We decided to start on a hump that John had, then run some of my water and then finish on his stuff. After a 2 plus hour lightening delay, we started with reaction baits, but after seeing a fish nose my bait, I decided to pick up a tube. 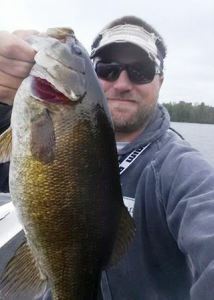 The first cast yielded a 4.74lb brute of a smallie and a few casts later another 4lb class smallmouth bass. We tried to milk the area some more, but it seemed like the action was over. From there I ran a series of shallow areas where I filled my limit, culled a few times and John got 3 fish for about 8lbs. All my fish came on tubes. We hit an isolated hump that I had, where I made a small upgrade. We then shifted to John’s areas for the last two hours, but nothing panned out. The day went by fast with that 2 hour delay. 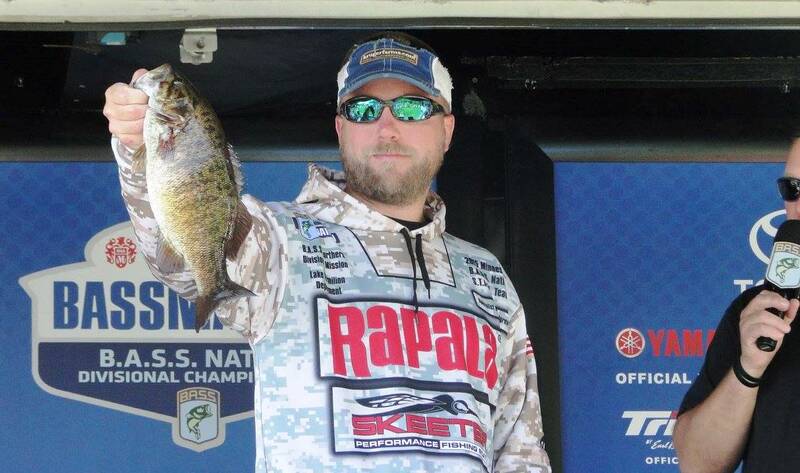 My total weight was 15.54lbs which put me in 5th place after day 1 and positioned right in the mix with one day to go. My day 2 partner Dan brought in a respectable 10lbs on the first day, but deferred to let me run the show since I was 5lbs ahead of him. 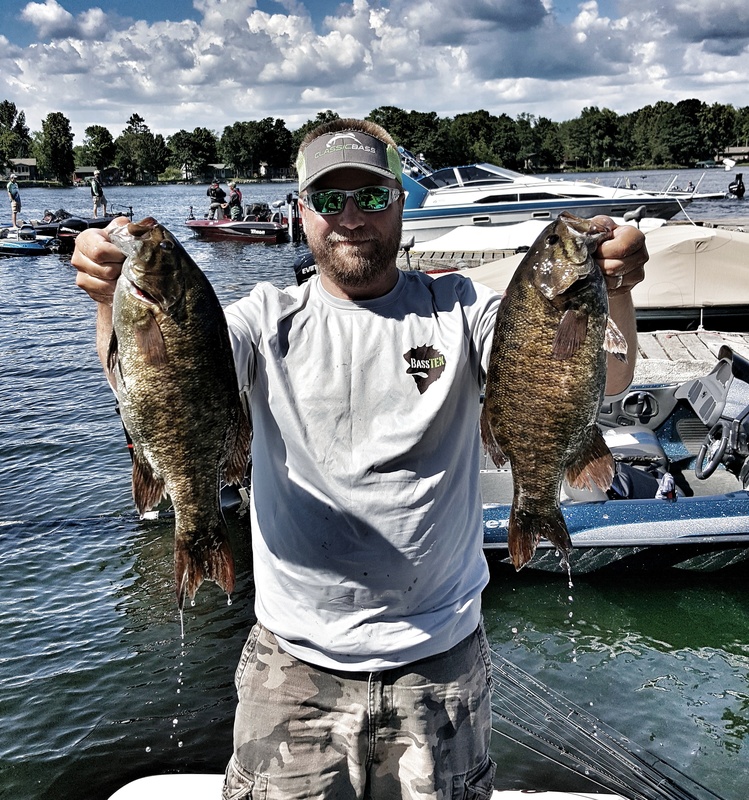 We started on an isolated hump on day 2, again the reaction bait was fruitless, but the tube put a 3lb smallie in the boat and another keeper pretty quickly. 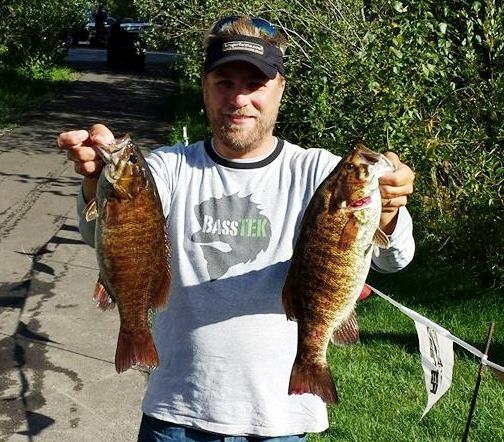 I hopped around other humps and points in the area to fill my limit and then came back to the starting hump to catch my big fish of nearly 4lbs on the tube again, giving me 2 good fish, 1 okay fish and 2 small fish at about 9:30am. My partner had a spot that he felt good about in the area, so we spent some time there and as I was about to suggest to leave, I got a 3lb class fish there. We gave that a little more time, hit another spot and revisited the big fish hump without anymore bites. It was almost 11am and I decided I would hit my water back towards the narrows possibly on the way to some largemouth if that didn’t work out. As I was about to reach the west end of Ely Island, my main motor just shut down. I tried to restart it, nothing. Took the cowling off to look for loose wires, didn’t see any (turns out later, it was a wire clip that popped off my fuel pump). So we were effectively dead in the water about 4 miles from take-off at the half way point of the day. We were able to get towed in and switched to my partners boat, but it was after 1pm by the time we were headed back out. Long story short, my partner got one keeper, I caught a few small keepers and one that upgraded me by about 4-6oz, but we never really got back on track. 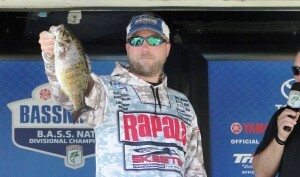 I ended up with 14.64 on day 2, which crept me up one spot to 4th for the tournament. Which if you are not first, 2 though 6 are all boaters at divisionals. Fairly satisfied, but I definitely have to win one of these after 2 seconds, 2 thirds and now 3 fourths, plus Tweet Gate. 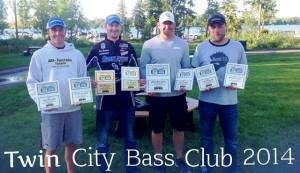 Twin City Bass – Back 2 Back Team Winners! 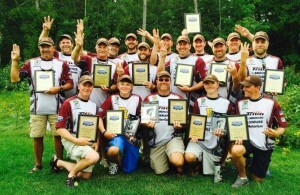 Kudos to my Twin City Bass Club team on another team victory at the TOC as well. All 4 of us made the Top 12 and divisionals next summer in MN (hopefully on Vermillion). Also, shout out to Fortune Bay Resort, they did a great job hosting us and I hope they get to host next year’s BASS Nation Northern Divisional. 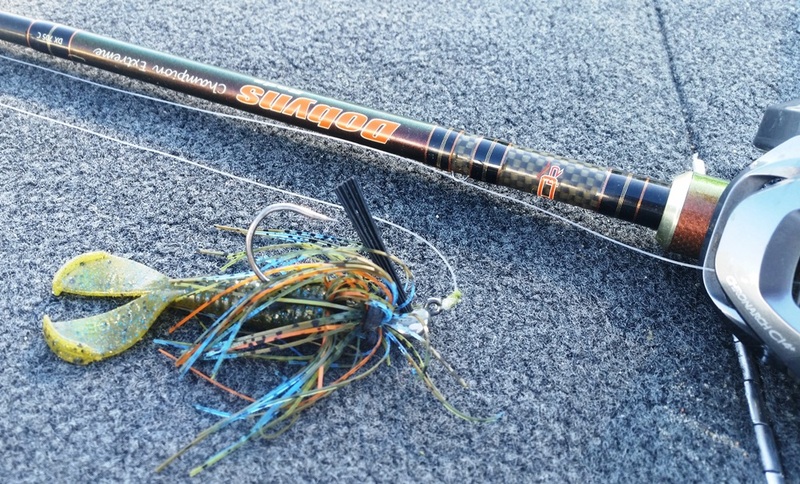 My primary setup was a Big Bite Baits tube on a Tungsten Agitator Head fished with 14lb Sunline fluoro and a Dobyns DX743C casting rod. Sorry no GoPro video from this event, between wet conditions and large waves each day at take off, I didn’t bother setting it up, didn’t want it to be a distraction. 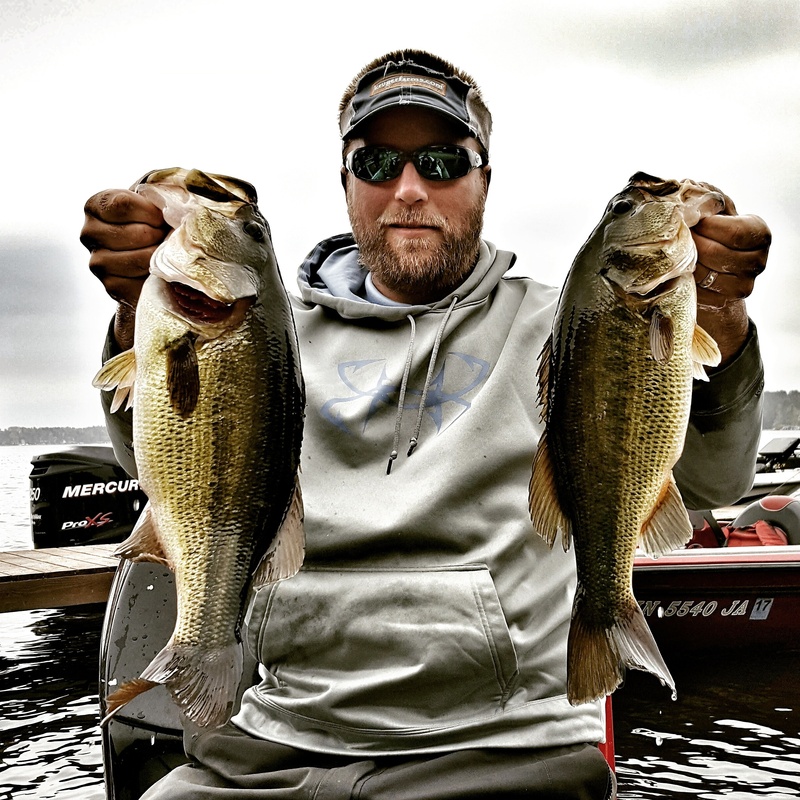 Might be some practice bass fishing video released next August….